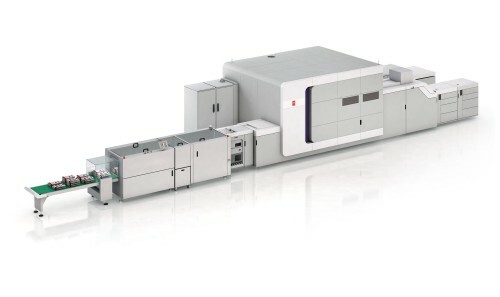 Increase your VarioPrint™ 6000 throughput while lowering downtime, operator involvement and paper costs. 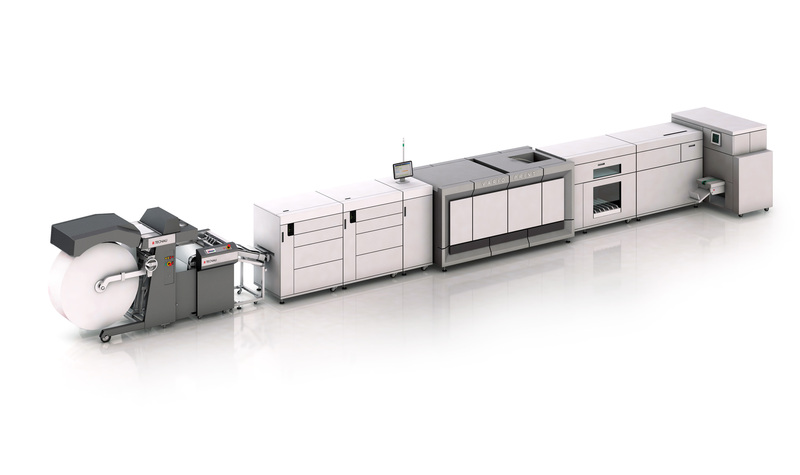 The SheetFeeder™ VP 6000 roll feed system feeds single sheets on demand to the Océ VarioPrint 6000 TITAN and 6000+ digital printing systems hour after hour. The SheetFeeder VP 6000 runs every form size the printer can handle, and paper weights down to qualified 27# text (39 gsm) papers – SheetFeeder is the best feeding option for these lightweight papers. With 60,000 sheets per roll, it delivers the maximum productivity and reliability. The system can switch form sizes between letter and tabloid, or between A4 and A3, without changing rolls. SheetFeeder cuts to final sheet size for big savings on odd sizes, and saves you even more on lightweight and other non-standard papers. The optional hole punch is perfect for ring binder applications, and running pre-printed bills and statements is simple with optional print register. The SheetFeeder VP 6000 is designed especially to feed cut sheets from rolls on demand to Océ VarioPrint 6000 printers and includes an unwinder, cutter and sheet transport. The user-friendly unwinder includes automatic decurling, no-lift roll mounting and a self-centering design. Rolls up to 50” in diameter are loaded quickly and easily into the unwinder directly from an optional roll cart. The unwinder feeds a paper web to the SheetFeeder’s cutter, which then accurately produces consistent, square sheets for on-demand feeding. Form lengths are easily changed with the touch of a button. The reliable sheet transport feeds single sheets to the printer, on demand, without diminishing standard input tray capacity. No buffer means reliable feeding with virtually no waste when changing applications. 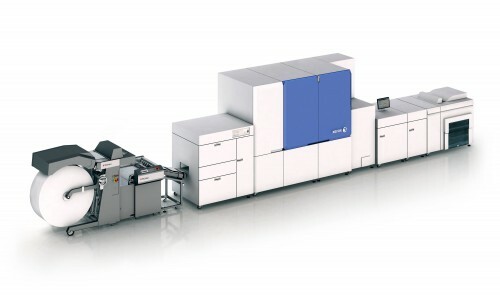 The SheetFeeder VP 6000 is compatible with all Océ VarioPrint 6000 TITAN and 6000+ series digital printers. 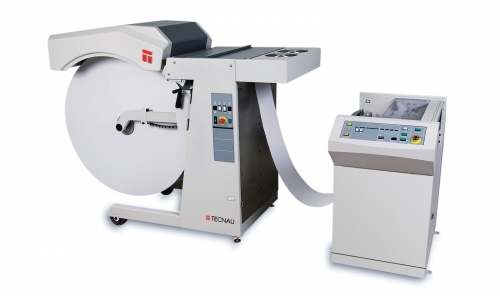 The system can be combined with finishing devices such as self-mailers, gluers/folders, stitchers and binders to provide complete end-to-end solutions. All components use standard power, are mobile, modular, compact, and designed to dramatically improve work-flow. 203 – 350 mm ≈ 8" – 13.8"
203 x 178 to 350 x 500 mm ≈ 8" x 7" to 13.8" x 19.7"